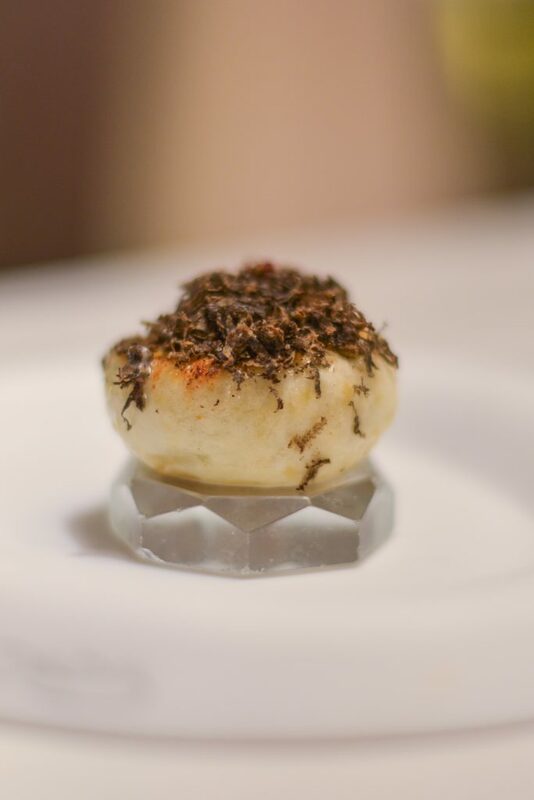 Flying pigs, butterflies, caviar, curry and 150 year old wine. These were just some of the ingredients which were suppose to be main components in the my best meal of my life. But that would be skipping a long. Truth be told I didn’t know that much about DiverXO before my meal. I knew that it had 3 Michelinstars, that Dabiz was known as a but crazy and is inspired by the rest of the World. Already entering the restaurant it was obvious that it was going to be a different night. Weird, creative but still with a very luxurious fealing. After a good glass of cava and at our if the kitchen.m the food was to begin and what a start. Milk skin, curry and avocado. 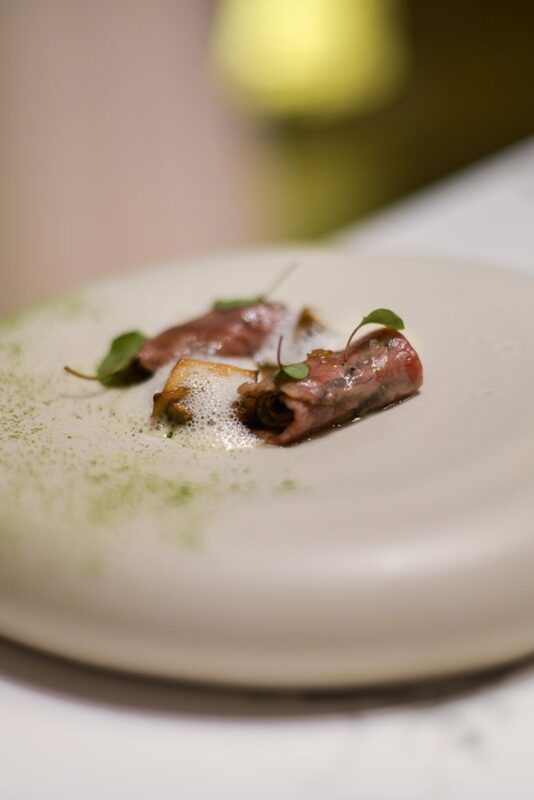 Usually a tasting menu starts with soft delicate flavors to easy you in to the meal and increase intensity as it progresses. Not here and dam how it works. Blown away from the start. BLOWN AWAY. Best description of the next dish, which consisted of Iranian caviar, vindaloo curry and a bit of yogurt gel. It was maybe the best dish I have ever had. 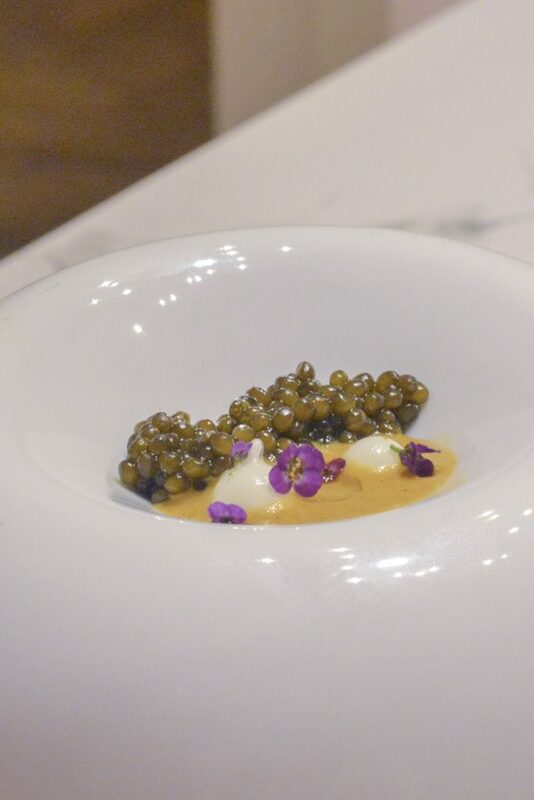 Usually the delicate caviar is paired with soft flavors but not here and damm how it works. The smoky flavors of the curry was just such and amazing match to the rich caviar. 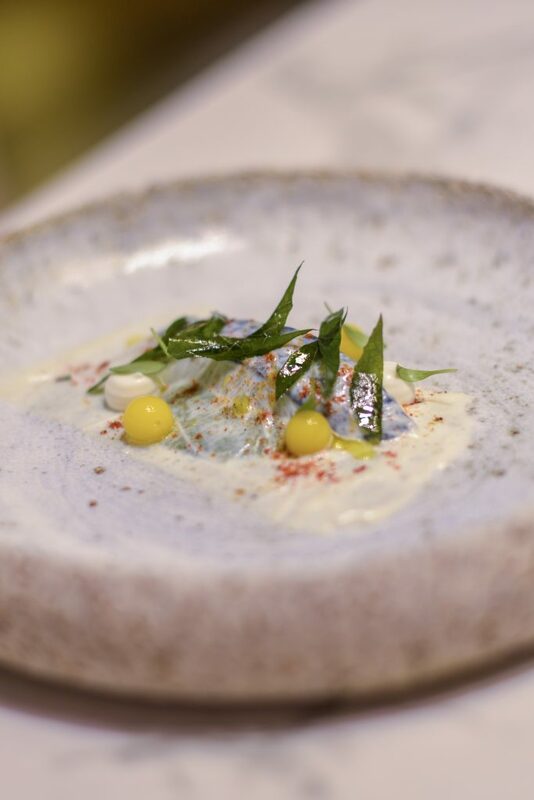 While it seems that the rest of the World is inspired by Japan at the moment for these first dishes Dadiz found his inspiration in India which were to continue with the next dish. 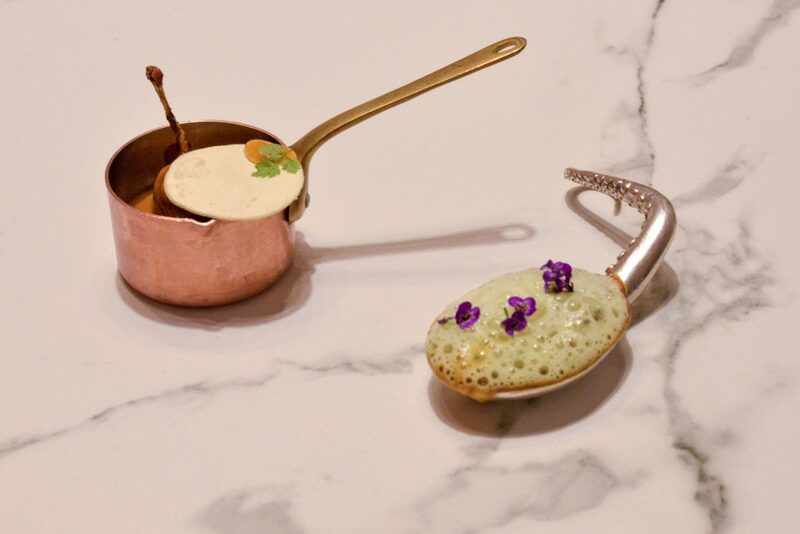 A lentil “soup” with curry foam after that s papadum with a “butter chicken” sauce with frog leg. 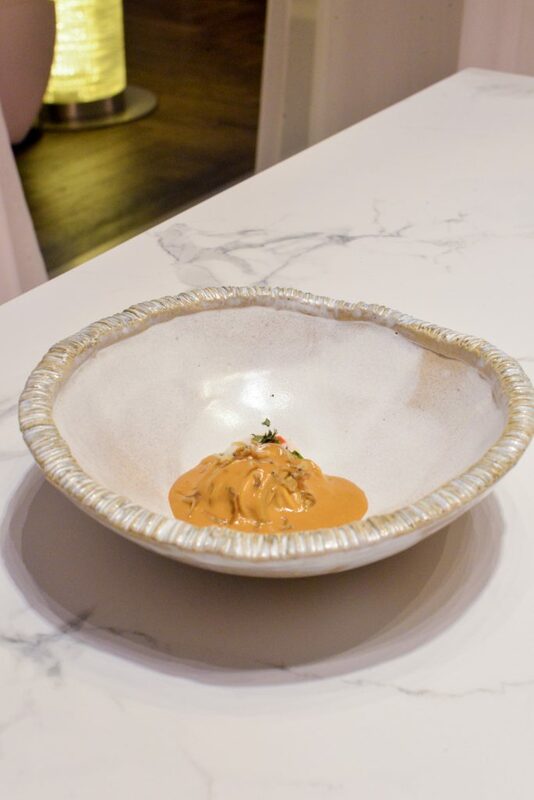 Sweet and spicy just the way it is supposes to be and of course he best and defininently beautiful and innovative “butter chicken” I have ever had. From India we Traveler to Italy for Parmesan and lots of truffles. Dam that was delicious and umami rich. The only annoying thing was that that half of the sauce squirted out when taking the first bite. 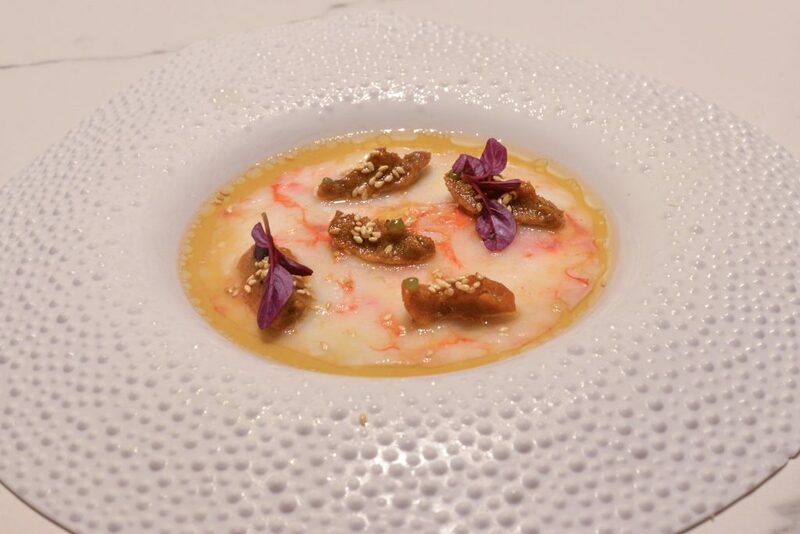 From Italy we went fusion with a Peruvian tigers milk sauce with crunchy fish scales a yellow chili sauce. It was definently not traditional tigers milk but dam it was delicious and the mix of crunchy and soft textures was amazing. There is a first for everything and baby eels were a first for me. Here served with with crab from the north of Spain. The first dish that didn’t blow me away which is pretty amazing 6 courses in. With the next dish we were back in World class. 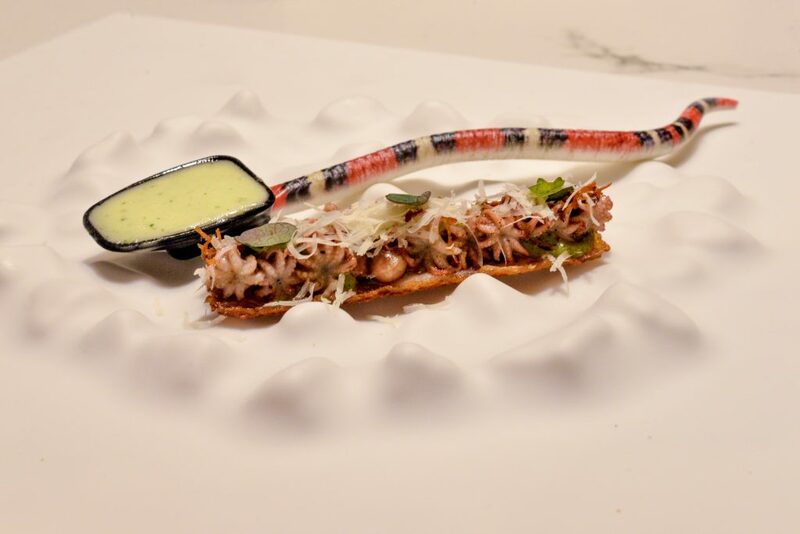 Baby octopus of about 3cm served on a crispy pork skin and Parmesan. The octopus had been cooked for less than 10 seconds and together with the pork skin was such an umami rich dish. Dam it was amazing and the presentation was stunning. 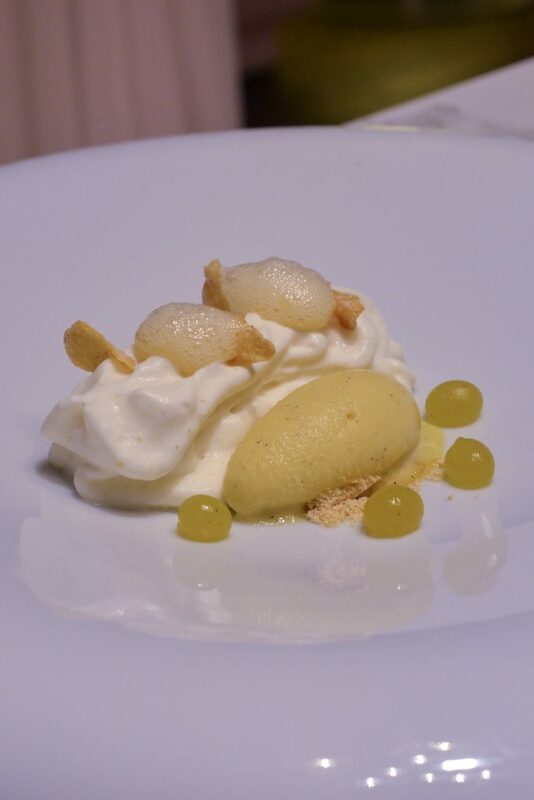 To finish a small lemon and coriander sorbet/foam to cleanse. Of course it was amazing as well and so simple. We were now to start a small langoustine section starting with the head. Rich in flavor and good. 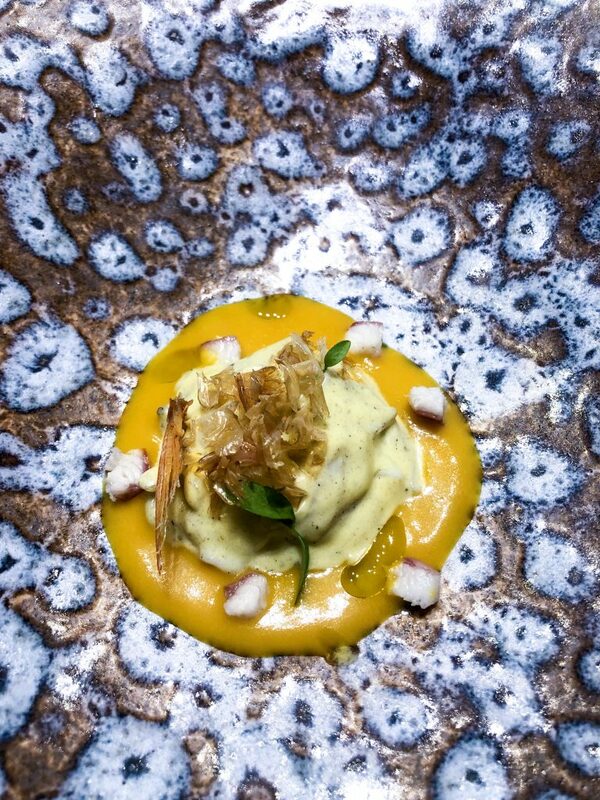 Langoustine and “cooked uni”. Cooked with hot oil being poured over of course changed the texture and flavor. Away was the salty flavors from the sea and out came a caramelly flavor. 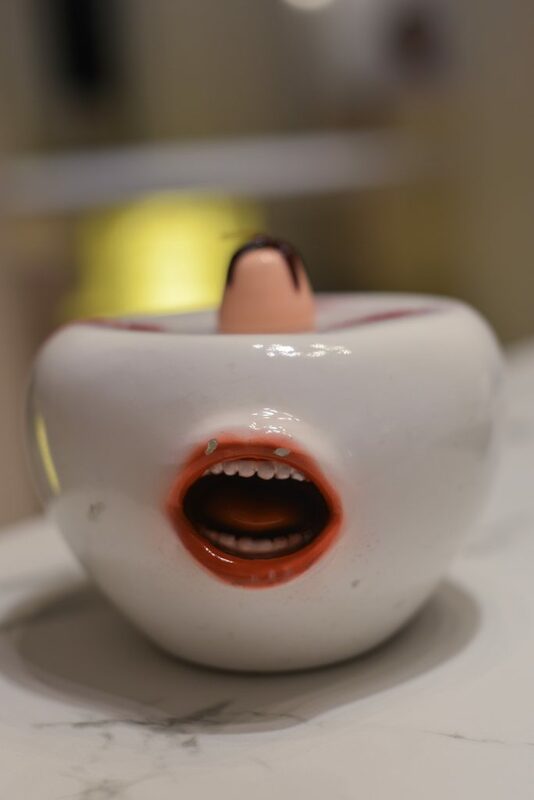 A very interesting dish. After this we started a Chinese section, which I thought were the weakest of the menu. 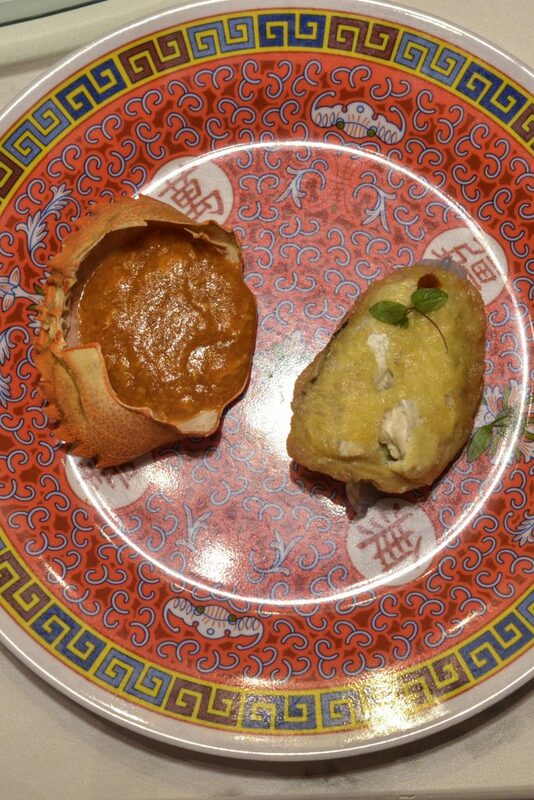 To begin with a crab dumpling with chili. Nice dish but not amazing. Following this was their take on the Spanish omelet served with a rich sauce made from cow’s hoods. Such a rich and great dish. In Indian pots filled with smoke came a bacon dumpling. Nice, rich and cool Presentation. So was the next dish. A big twist on the whopper with fries. 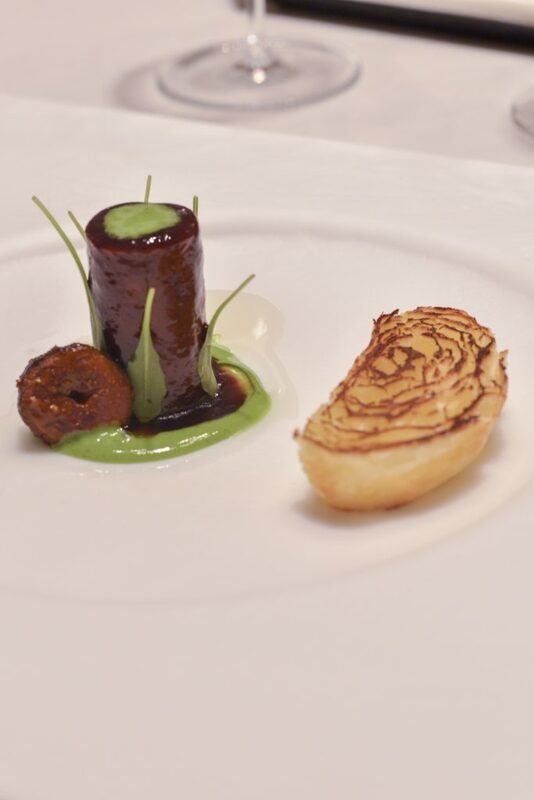 A rich sweet and smoky barbecue sauce served with duck comfit and brioche bread. As with a whopper of course also eaten with your hands. A very delicious, humorous and delicious dish. 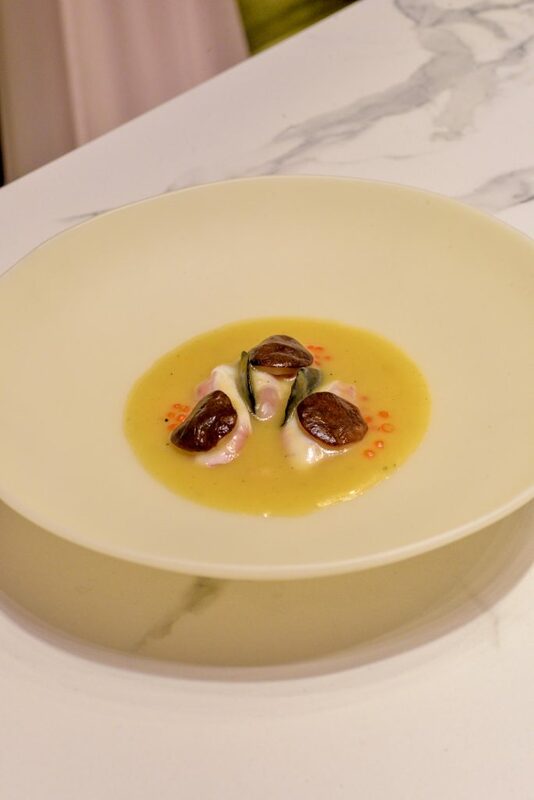 A truly memorable dish. 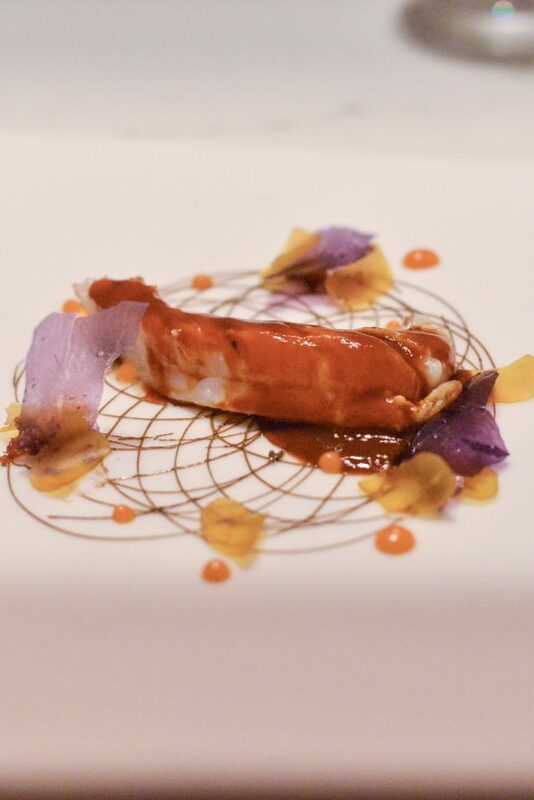 Langoustine with a rich demi glaze. The langoustine was so soft and almost falling a part. Just perfectly cooked. Langoustine with some kind of kind of acidic foam. Simple but yet so good. 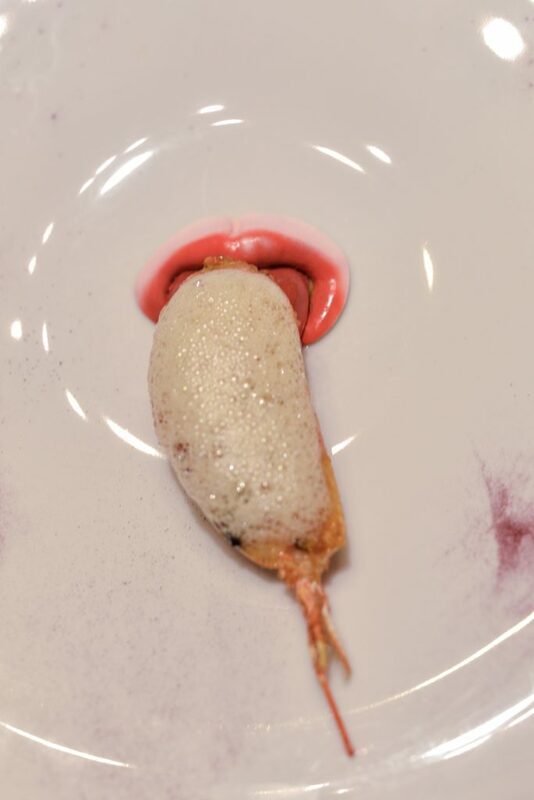 Off course served on a plate replicating Dabiz tongue. What else. 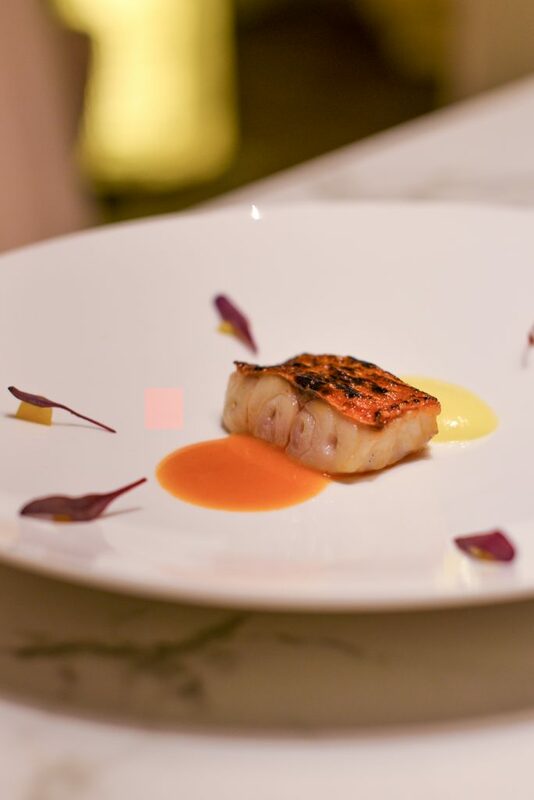 Red mullet done yakkatori style with an olluco and chorizo sauce. 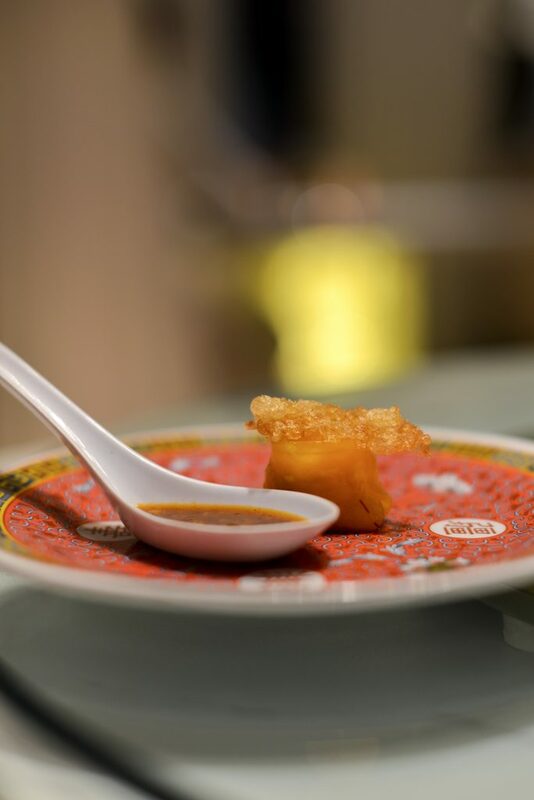 Sweet meets spicy and a perfectly juice piece of fish with crispy skin. A great dish. Crispy red mullet skin with a sweet beetroot sauce and “salad”. A great mix of textures. To finish the salty section was a grade A5 waguy. I do love the fatty waguy and this was just delicious. As a cleanser was a coconut and Thai basil foam with shaved ice. It was extremely refreshing and the flavors were very great together. We continue in Thailand and dam it was good. 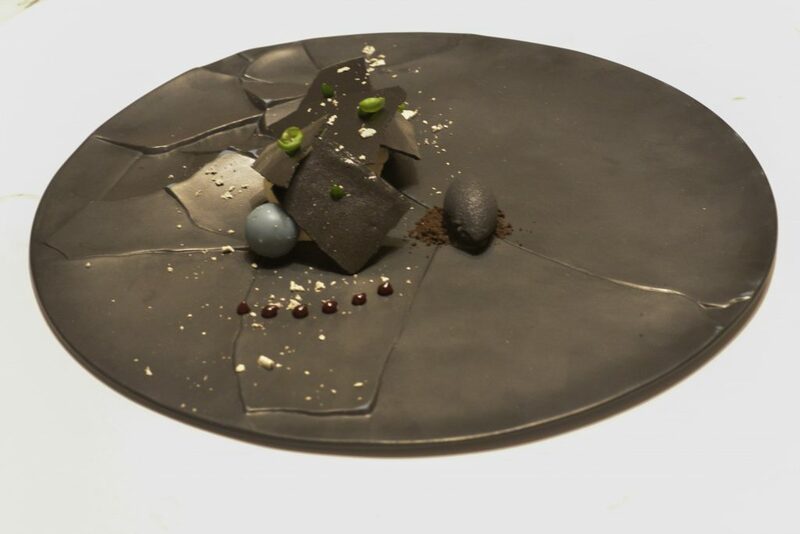 Variations of coconut and chocolate in different textures as delicious as it was beautiful and technical great. 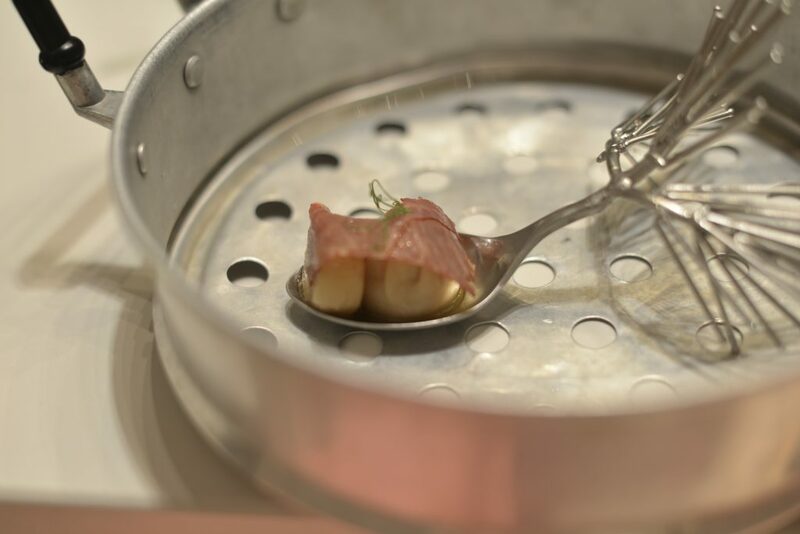 Of course a gimmick to finish with, but it was fun and truly in the spirit of DiverXo. 20 some dishes and 5 hours after we sat down at DiverXO we were done with an experience that can only be describe as unique and absolutely world-class. Dabiz took us for a trip around the World with focus on special ingredients, great use of spices (especially curry) and nice techniques. 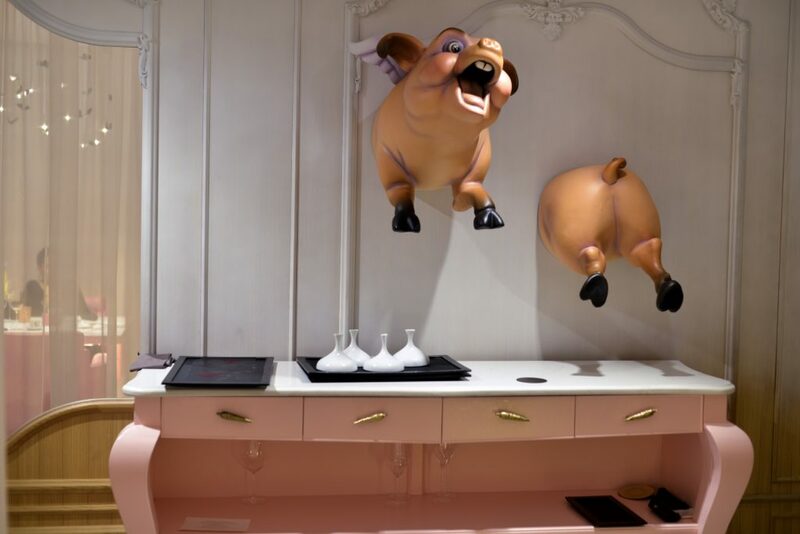 When Dabiz was a child told his patents that he wanted to be a chef and have his own restaurants they told him when pigs fly. 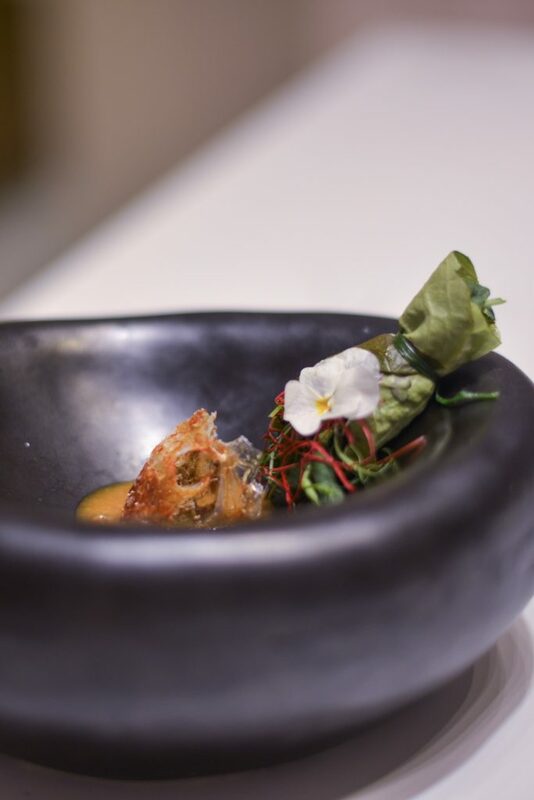 So Dabiz wants a trip to DiverXO to be a night you will never forget: a night where you will see flying pigs and your stomach will be filled with butterflies. 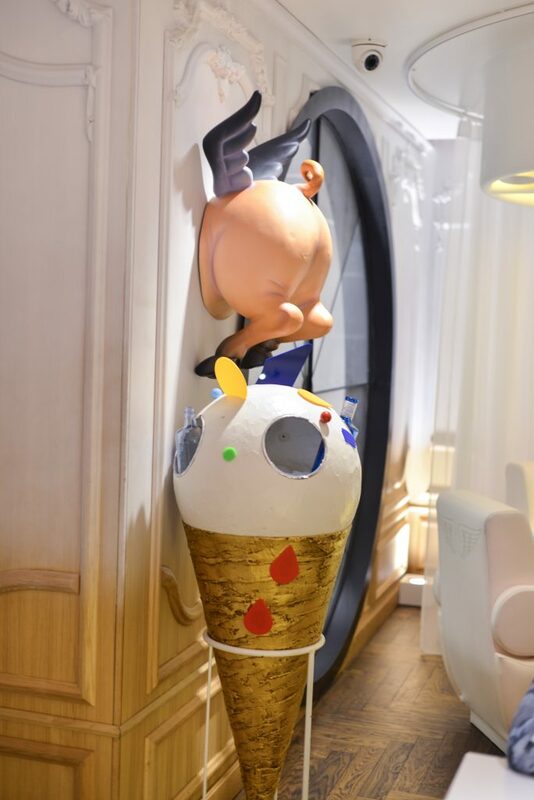 That is what a night at DiverXO feels like. You are surprised, amazed and everything really comes together. 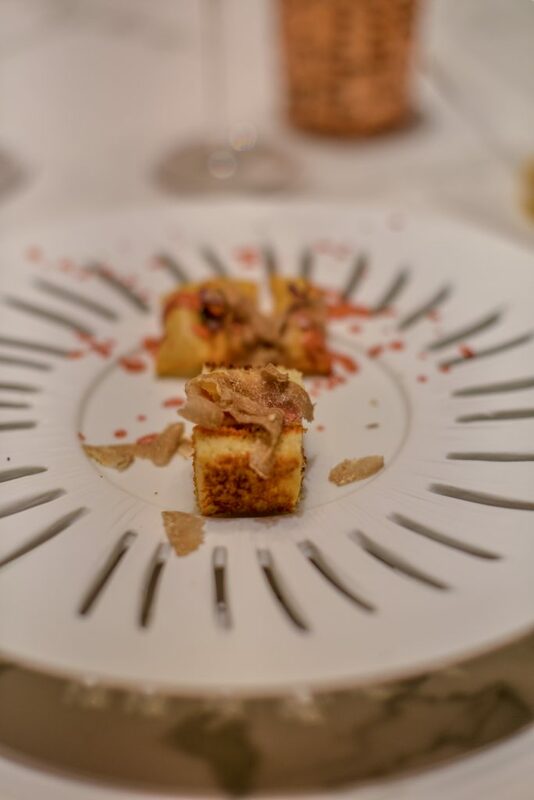 Not only is the food amazing but also for once the wine pairing is right up there with it with both great Spanish wines but also classic wines such as Barbaresco, Chateauneuf-du-Pape and Meursault in amazing vintages. Similar the service is amazing. They all knew that when just addressing my wife they could speak in Spanish, but for me it was English. They were present when needed without being overly pushy and goes without saying professional from start to finish. Overall this was one the best meals of my life and the caviar and vindaloo curry were maybe the best dish I have had in my life. Dabiz presented flavor combinations I have never tried before and the wine pairing was just mind-blowingly good. 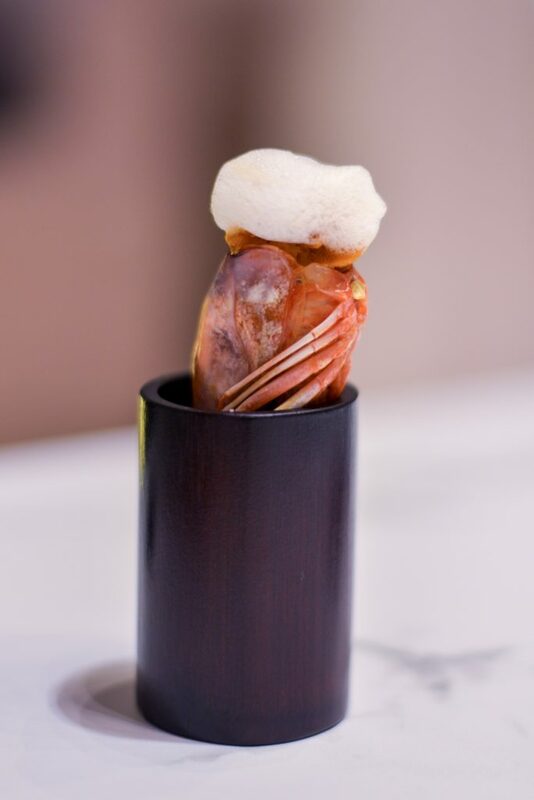 So next time I am in Europe I know that we will make a stop in Madrid to eat at DiverXO.